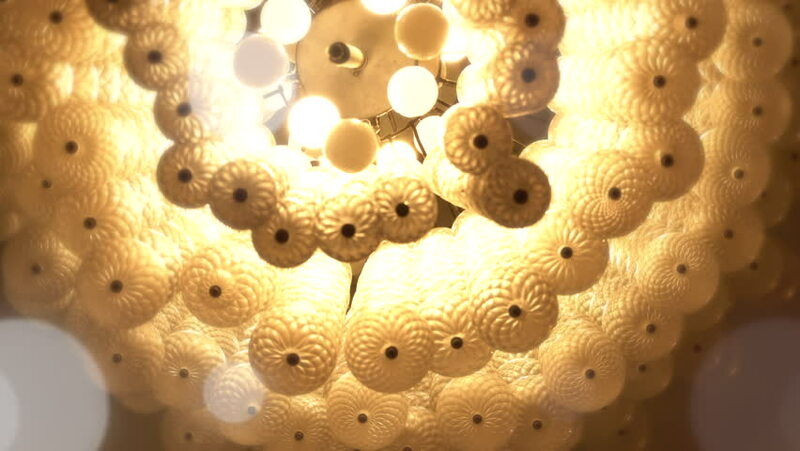 Chandeliers spiral to soft light yellow like a dream. Bokeh is shining brightly out. hd00:28wild bee Osmia bicornis on insect hotel. closing the nest. solitary bees.